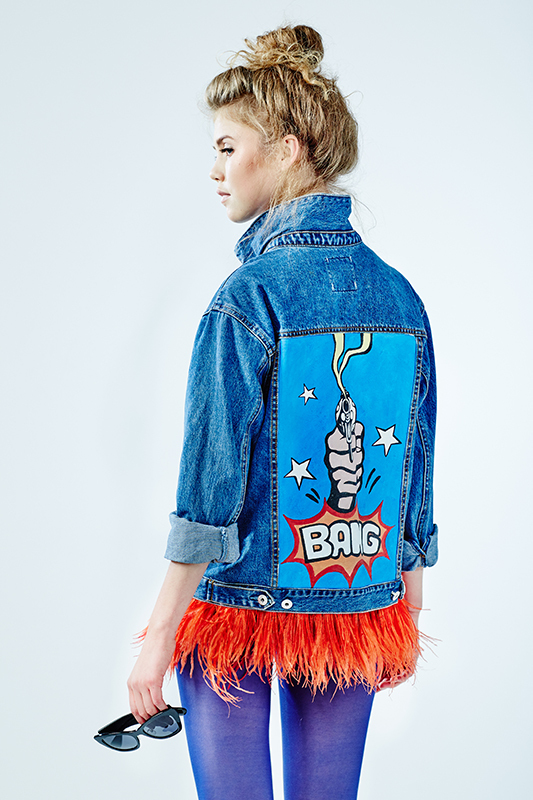 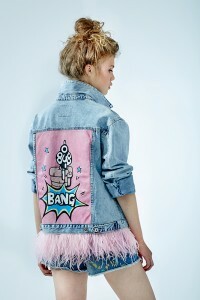 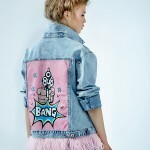 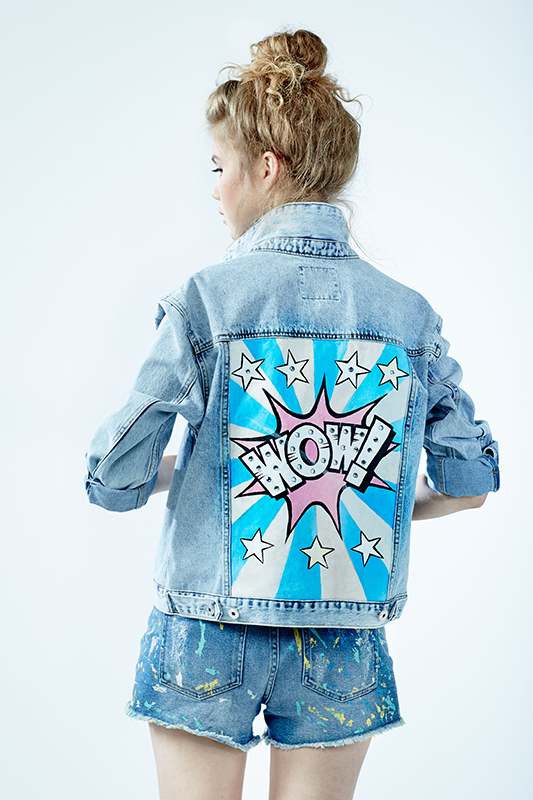 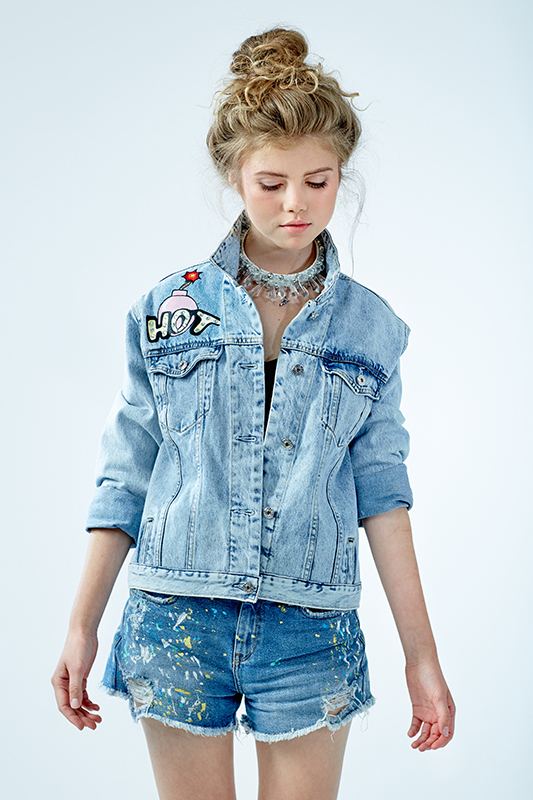 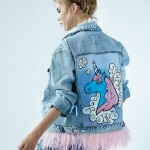 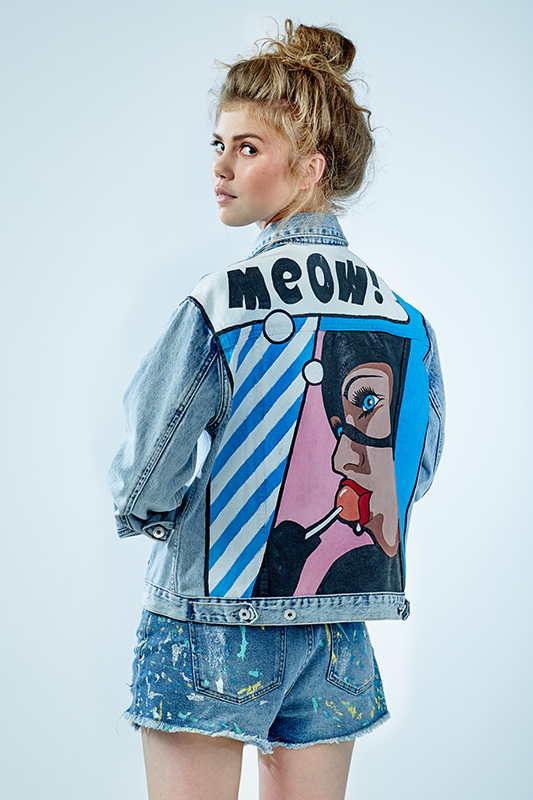 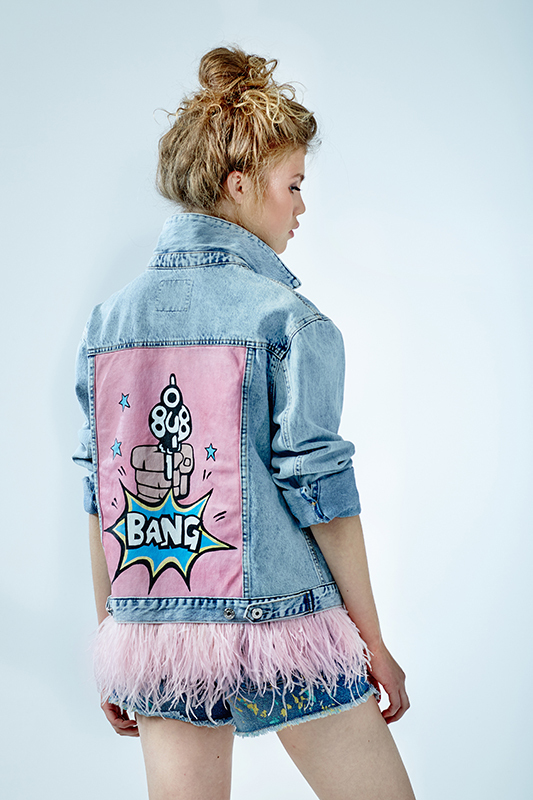 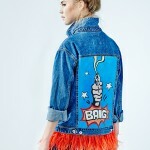 Hand-painted denim jackets are a real hit among girls who adore fashion of 90’s. 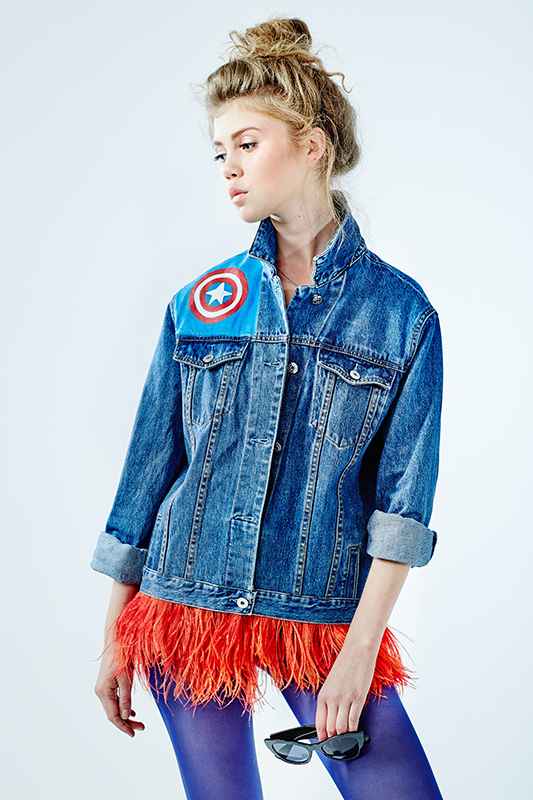 Sisters Daria and Maria interpreted this trend by adding colored ostrich feathers. 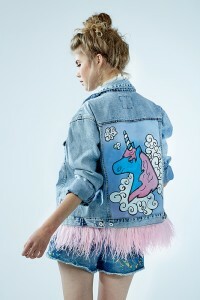 You should not be afraid to wear these jackets at all as it make the fabric much softer and its feathers can be easilliy removed and sent to a drycleaners’.